As in I wish I could figure out HOW to use Tags, Bags, Boxes and More 2!! I don’t know why it’s SO difficult to include complete instructions with products these days. Oh well! As in I wish I could learn from my mistakes. Would you believe I made this same box back in February? It was too small for the giftcard I wanted to put in it Luckily, giftcards to Flemmings are smaller than the ones to Bass Pro Shop. As in I wish I had more patience to let my Stickles dry completely. But, I doubt that’s going to happen either. It’s actually perfect for a standard size giftcard. I used the Fit to Page feature and hand scored all of the folds. For the life of me I can NOT figure out how or when to use the scoring blade. 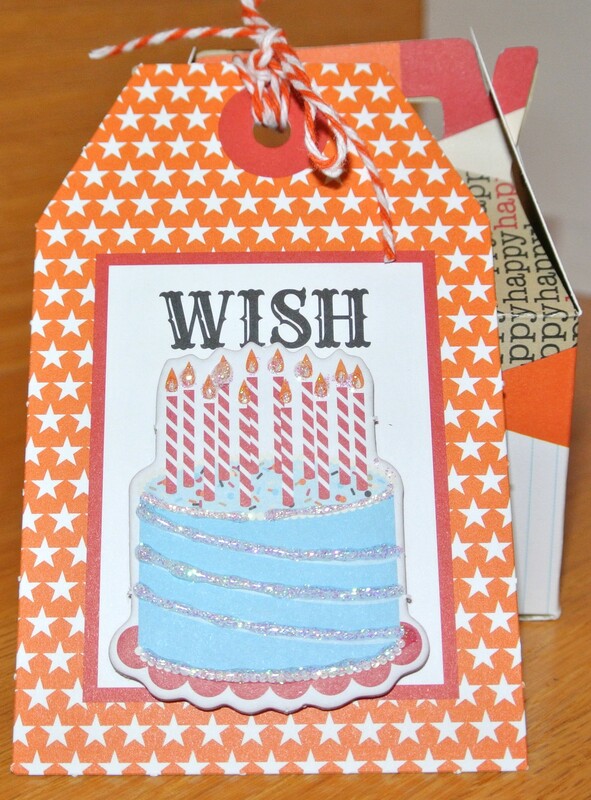 I used the premade TC Celebrate Wish tag and added a chipboard birthday cake for dimension. I used Stickles on the candles and icing for a little sparkle. 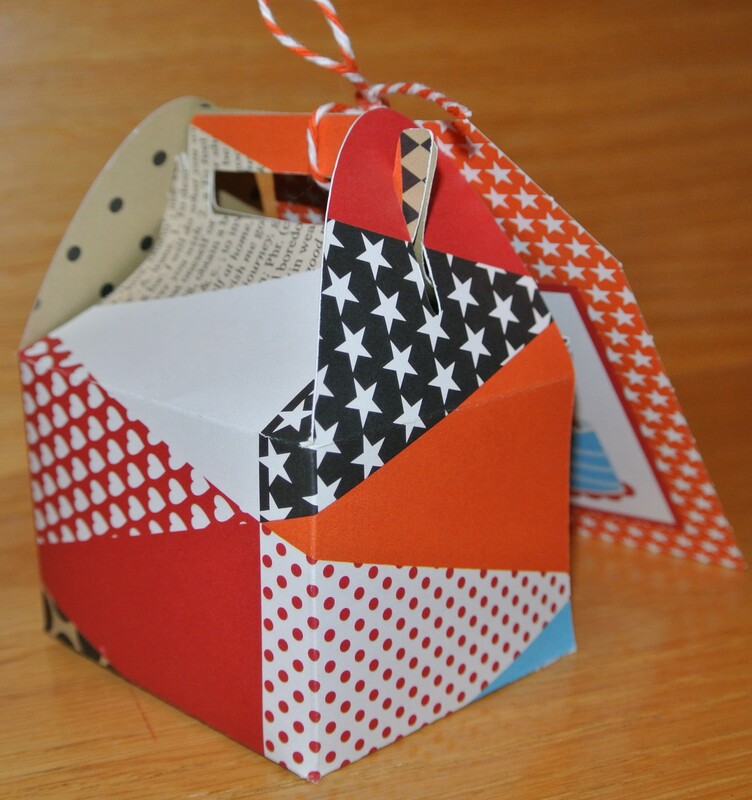 I have to tell you I just LOVE the pendant paper the box is made of. I love it so much, I saved the paper from the botched pizza box I first attempted. Hopefully, I can salvage it as it’s too cute to waste! I usually would wait to take pictures in natural light, but tomorrow is the big day. And a certain little one has already gotten her little fingers into the wet Stickles! Sigh! I guess that icing looked good enough to eat. « Here Comes Big Trouble! Well, it’s either that the icing looked good enough to eat OR….like mama, like daughter LOL!!!! !